A complete Procurement module that generates and tracks the purchase orders awarded to suppliers & generates their billing along with payments and adjustments history. It reduces data redundancies and ensures real-time reporting. Managing supplier's quotation, comparison and price history. Purchase order calculation and management. 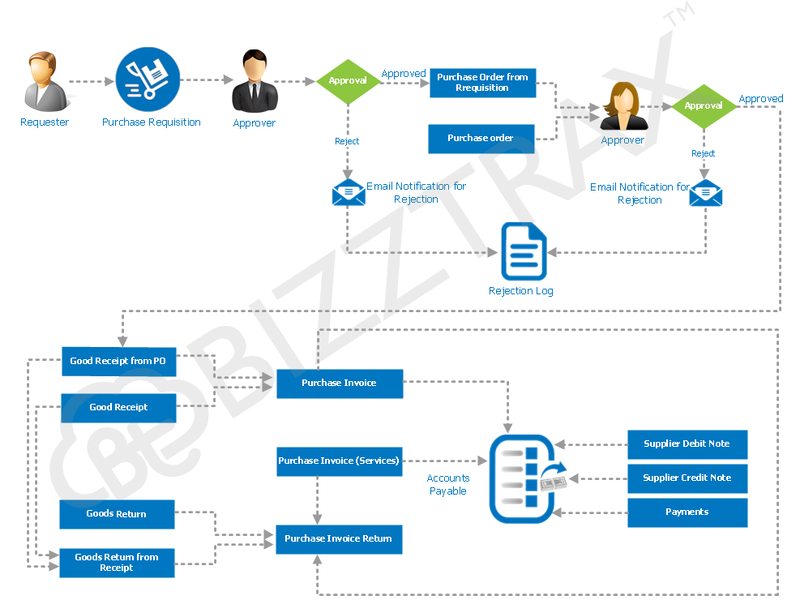 Reports for order tracking for complete control on the procurement cycle. Order cancellation and order closing. Automated 3-way match including good, receipts, invoice and purchase order.